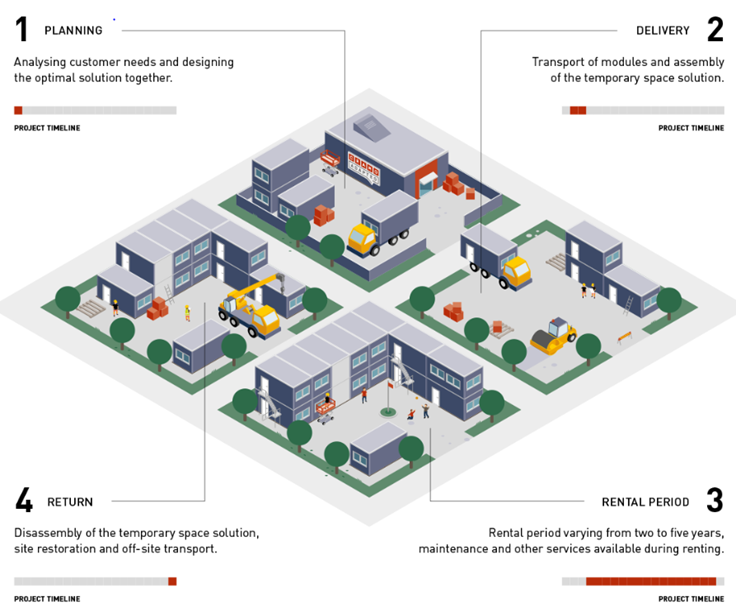 The Modular Space business division, Cramo Adapteo, encompasses the company’s premium modular space rental and rental-related service operations. Our solutions are high quality, flexible, cost-effective, energy-efficient and sustainable, and they deliver a user experience comparable to that with permanent buildings. 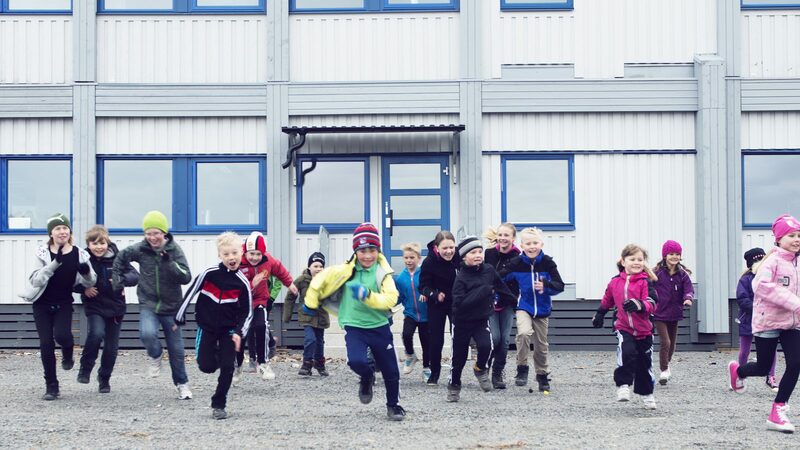 They are especially designed to meet the demanding needs and requirements that apply to temporary space solutions for schools, daycares, offices and accommodation, but are also used for events, exhibitions, shops and other application areas, to name a few. We serve both the public and private sector and deliver comprehensive temporary space solutions as turn-key projects that include needs analysis, design, planning, assembly, maintenance and other services during the rental period as well as disassembly. 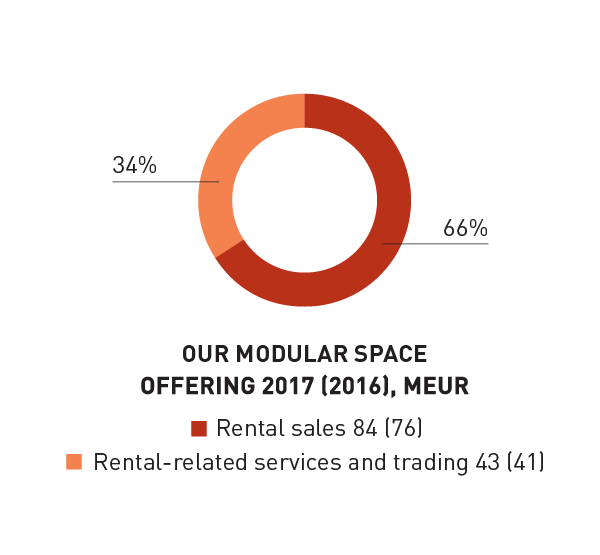 Approximately two thirds of the division’s business consists of modular space rentals and about one third consists of rental-related services.